1) (co. Devon). Chequy ar. and az. a chief indented or. 2) (Chaklack Hall, co. Durham). (co. Durham). Ar. on a chief gu. three plates erm. Crest—A buck courant ar. charged on the shoulder with three torteaux, attired or, pierced through the neck with an arrow gold, feathered ppr. 3) (Clifton, co. Gloucester, and Sunnyside, co. Durham). Per pale az. and sa. on a chev. indented betw. three swans ar. as many buckles of the first. Crest—A griffin’s head erased ar. semée of buckles az. pierced through the mouth by a spear in bend sinister point upwards or. Motto—Murus æneus virtus. 4) (Bocking, co. Essex). Ar. on a chief indented sa. three bezants. 5) (Stockwell, co. Essex). Ar. a fleur-de-lis gu. 6) (Little Burstead, co. Essex). (Hamme, co. Somerset, and London. Visit. London, 1568). Same Arms, a mullet for diff. Crest—An antelope’s head couped at the neck gu. armed or, gorged with a collar ar. thereon three fleurs-de-lis gu. holding in the month a trefoil ppr. 7) (London). Same Arms, a mullet for diff. 8) (Addington, co. Kent). Ar. a lion ramp. gu. debruised with a bend sa. charged with three crosses crosslet fitchée or. 9) (Walton, co. Lancaster, and Lacock, co. Wilt3). Ar. a chev. gu. betw. three hawks’ heads erased sa. Crest—A wild man ppr. wreathed about the middle and temples ar. and sa. holding in the dexter hand a trefoil slipped or, in the sinister hand a tree eradicated vert reclining on his shoulder (another, holding a spiked club or). 10) (Walton on the Hill, co. Lancaster, 1664). Az. (another, sa.) three swans ar. 11) (co. Lancaster). Ar. on a chev. gu. betw. three hawks’ heads erased sa. as many trefoils slipped or. 12) (Compton, co. Somerset). Ar. a cross pattée sa. a border engr. gu. Crest—A dragon’s head couped or, flames issuing from the mouth ppr. and charged on the neck with a cross pattée sa. 13) (co. York). Ar. a lion ramp. vert. 14) Ar. three buglehorns sa. stringed gu. Crest—On a chapeau gu. turned up erm. a buglehorn of the last, stringed or. 15) Ar. two bars gu. betw. three crescents sa. 16) Ar. two bars az. a lion ramp. gu. 17) Ar. on a bend sa. betw. six crosses crossletgu. three bezants. 18) Ar. a bend betw. six escallops sa. 19) Gu. a chief or. 20) Sa. three chev. or. 21) Chequy az. and ar. (another, ar. and gu.) a chief engr. or. 22) Sa. on a chief ar. three torteaux. 23) Ar. a chev. betw. three buglehorns. 24) (Henry Crane Walton, Esq.. Preston, co. Lancaster). Sa. three swans ar. on a chief of the last, as many pallets gu., each charged with a buckle or. Crest—A wildman, wreathed about the temples and waist with oak leaves, over the dexter shoulder a chain in bend sinister, supporting with the dexter hand an axe, head downwards, and holding in the sinister hand an oak sapling eradicated and sprouting, all ppr. This last name has locational or habitational name denoting a person who was “of Walton”, any of twenty-five different parishes throughout England and two in Scotland. These places can be found in Derbyshire, Berkshire, Hertfordshire, Lancashire, Norfolk, Somerset, Staffordshire, and Suffolk. There are at least four theories as to the meaning or etymology of the name. First, it is believed the term refers to a dwelling that was built from stone instead of wood. Second, another theory is that it refers to a hamlet or farmstead enclosed by a wall, deriving from the Old English word weall (wall) and tun (farm). Third, another theory is that it referred to a hamlet or farmstead by the woods, deriving from the Old English word weald (wood). Fourth, it may refer to the Welshman’s or Serf’s Place, deriving from the Old English weala, meaning Welshman or serf. The Domesday Book of 1086 AD, a survey or England and Wales, ordered by William the Conquerors, documents places spelled Waletone, Waltone, Waletun, and Waletune. One source states the original village bearing the name Walton or Wolton that may be Viking, Norman, or Saxon in origin. The progenitor or first known ancestor of this family was Waldeve de Waleton who was born in Walton, Lancashire, England in 1077 AD. It is believed he descended from the Norman family of De Cramaville who lived in Evreux, France and held fief in Essex from the barony of Peverel from the time of the Norman Conquest of England in 1066 AD. 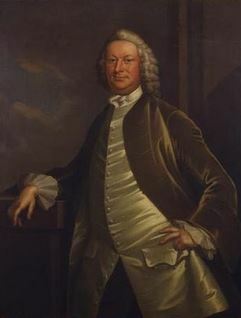 A member of this family Robert de Cramaville, received lands at Walton in Fountains Abbey, and hence his descendants bore the surname Walton. Some spelling variants or names with similar etymologies include Waltton, Wealton, Waldton, Wallton, Wahlton, and several others. The last name Walton ranks 414th in popularity in the United Status as of the 2000 Census. The name ranks particularly high in the following eleven states: Georgia, Virginia, Ohio, Michigan, Indiana, Alabama, Utah, Mississippi, Idaho, Delaware, and Wyoming.The surname Walton frequency/commonness ranks as follows in the British Isles: England (205th), Scotland (715th), Wales (493rd), Ireland (1,559th) and Northern Ireland (1,105th). In England, it ranks highest in county Durham. In Scotland, the surname ranks highest in West Lothian. In Wales, it ranks highest in Flintshire. In Ireland, it ranks highest in county Kilkenny. In Northern Ireland, it ranks highest in county Down. The name is also present throughout the remainder English speaking world: Canada (861st), New Zealand (478th), Australia (377th), and South Africa (1,455th). Henry Brougham Guppy’s 1890 book Homes of Family Names in Great Britain states the following in regard to this last name: “Walton, a name now numerous in the Darlington district, has characterised Weardale forages (Denham’s “Slogans of the North”)”. A one Robertus de Woltan was recorded in county Kent, England in 1274 AD. The Poll Tax of Yorkshire in 1379 AD lists one bearer of this last name: Alicia de Walton. William de Walton and John de Walton were recorded in the Preston Guild Rolls of 1415 AD. An early marriage involving this surname was Hugh Walton to Margaret Woulerrye at St. Thomas the Apostle in 1578 AD. The lineage or ancestry of this branch of the Walton family tree traces back to Thomas Walton, Esquire of Landieu, county Durham, England, who claimed descent from a branch of the family of Walton who had been seated at Lancaster for several generations. This Thomas had a son named Thomas. This son Thomas was an Esquire of Landiue who married Jane Todd. He had a son with her. This son was Thomas Todd Walton, who was an Esquire of Clifton, who in 1812, married Katherine Eliza, daughter of Thomas Todd of Sunniside and Elizabeth Baskerville of Wooley House, and had the following issue with her: 1) Thomas Todd (his heir, see below), 2) Frederick Baskerville (born 1822), 3) Reverend Henry Baskerville (Vicar of St. Cross, Oxford, in 1862, married Annie Bessie Bishop, had issue named Herbert Henry Bishop, Walter Edward Baskerville, Cyril Medd Baskerville, Mabel Emily Tawney, Gertrud Helen, and Blanche Mary Grace), 4) Emma Matilda (married Reverend William Robert Browell, Rector of Beaumont, Essex, in 1841), 5) Laura Helen (1817), 6) Emily Ann (in 1856, married Reverend Edward Miller, Vicar of Butler’s Marston in county Warwick), and 7) Harriet Eleanor (born 1820). His son and heir Thomas Todd Walton was an Esquire of Clifton, county Gloucester, and Maperton, county Somerset, both in England (modern day United Kingdom, once called Great Britain), and a High Sheriff of Bristol, who was born in 1815. In 1844, he married Margaret Ann, daughter of Henry Farnell of Holland House and Margaret Ann Tulloch of St. Jame’s Square, and had four children with her as follows: Oriel Farnell (Barrister-at-Law, served in the North Somerset Yeomanry Cavalry, married Katherine Augusta Gordon, had issue named Ethel Gordon born in 1869 and Violet Evelyn Gordon, born in 1876), Henry Ernest Baskerville (served in the 4th Dragoon Guards), John Farnell (of Royal Elthorne Light Infantry), and Katherine Gertrude Baskerville (born 1860). The Walton Coat of Arms (mistakenly called the Walton Family Crest) is blazoned in heraldry as follows: Per pale azure and sable on a chevron indented between three swans argent, as many buckles of the first. Crest: A griffin’s head erased or, semee of buckles azure pierced through the mouth by a spear in bend sinister point upwards gold. Motto: Mutus aeneus virtus. This family was seated at Maperton House, Wincanton, county Somerset, England. Sir Joseph Walton, 1st Baronet, was a Justice of the Peace, Deputy Lieutenant, coal owner, and Liberal Party politician who was born in Bollihope, county Durham, England in 1849. He was the son of John Walton of Frosterley, a colliery owner. Gilbert de Waleton (born in Halewood, Lanacashire, around 1125 AD, had sons Richard and Henry). 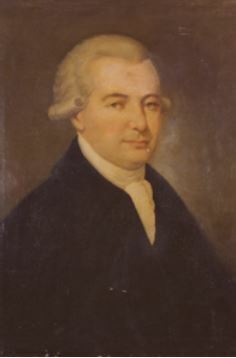 Boaz Walton Sr. (born in Philadelphia, Pennsylvania around 1739, married three times to Rebecca Leech, Hannah Ashton, and Mary Ashton). He was the father of the following children: Obadiah, Jesse Sherman, Rebecca Elizabeth (Simmers), Hannah (Davis), Daniel, Joseph, Sarah (Blose), Mary A. (Martz), Anna Martha (Blose), Elizabeth (Ament), Amelia (Martz). Minnie Mae Walton (born in Newport, Ohio in 1867, married Clifford Coleman Gallaher). Before her passing in Charleston, West Virginia in 1967, she had the following issue: Flora (Ragland), Nelle (Braden), Jessie Walton Gallaher, and Alice Mary Gallaher. William Walton, age 22, came to St. Christopher’s and Barbados in January 1634. Richard Walton, age 21, came to the Barbados aboard the Hopewell in February 1634. George Walton, owned 30 acres of land and 6 slaves in the parish of St. Michaell’s, Barbados. Margret, daughter of William and Mary Walton, was baptized in Christ Church, Barbados in 1678. John Walton was recorded as living in Virginia in February 1623. He came aboard the Elizabeth in 1621 at the age of 28. 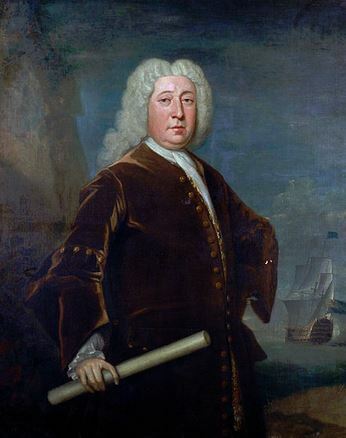 Other early settlers in colonial America bearing this surname include William Walton (Massachusetts 1630), William Walton (Massachusetts 1635), Daniel Walton (Virginia 1635), Henry Walton (Virginia 1704), Samuel Walton (Virginia 1710), and Margeratt Walton (Pennsylvania 1732). In Canada, one of the first bearers of this last name was Thomas Walton, who came to Halifax, Nova Scotia in 1775. In Australia, two bearers of this surname, Christopher and John Walton, both convicts from Surrey, England, came to New South Wales (then a penal colony) aboard the Asia in 1822. In 1840, Alfred Conrad, Caroline, and George Frederick Walton came to the city of Adelaide aboard the Fairfield. In New Zealand, one of the earliest settlers with this name was Ann Walton, who came to Port Nicholson in 1840 aboard the Oriental. In 1843, James Walton came to the city of Wellington aboard the Ursula. 1) Argent a chevron gules between three hawks’ heads erased sable. Crest: a savage with loin wreath, holding in dexter hand a trefoil slipped vert, and in sinister hand an oak tree. Motto: A la volante de Dieu. Bookplate William Walton, N. Y. 1) William Walton of New York, 1760, from Lancaster, England. Arms: Argent, a chevron gules between three hawks heads erased sable. Crest: A wild man proper wreathed about the middle and temples of the first holding in dexter hand a trefoil slipped or, in the sinister a spiked club or, reclining on his shoulder. Matthew’s American Armoury and Bluebook (1907) contains one entry for this last name: Captain William Walton, a merchant of New York, who traded with the West Indians and Spanish Main, 1760. He is the same William Walton with the same blazon as listed in Crozier’s as discussed above. According to Wikipedia, he married Mary Santford and had two sons with her: Jacob and William. The former failed under his father’s vessels and acquired the title of Captain. The latter rose to great eminence in the colony and added significantly to the family wealth. There are hundreds of notable people with the Walton surname. This page will mention a handful. Famous people with this last name include: 1) Samuel Moore Walton (1918-1992) who was an American entrepreneur and businessman who founded the famous retailers Walmart and Sam’s Club, born in Kingfisher, Oklahoma, 2) Daniel James Walton (1947-2017) who was an outfielder in the MLB who played for seven different teams between 1968-1980, born in Los Angeles, California, 3) Ernest Thomas Sinton Walton (1903-1995) who was an Irish physicist and Nobel laureate known for his work in “atom smashing” done at Cambridge University, having been born in Abbeyside, Dungarvan, Ireland, 4) George Walton (1749-1804) who was a signer of the Declaration of Independence, delegate to the Continental Congress, and Senator from Georgia from 1795-1796, having been born in Cumberland County, Virginia, 5) Sir George Walton (1664-1739) who was a British Royal Navy Officer who rose to the rank of Admiral, born in Little Burstead, Essex, who bought in the Battle of Cape Passaro and the Action of August 1702, 6) Joseph “Joe” Frank Walton (1935) who was a fromer American football player and coach born in Beaver Falls, Pennsylvania, who played for the Washington Redskins and New York Giants from 1957-1964, 7) John Calloway “Jack” Walton (1881-1949) who was the 5th Governor of Oklahoma in 1923, born in Greensboro, Indiana and having previous served in the US Army, 8) Mary Elizabeth Walton who was an American inventor of the nineteenth century who invented pollution-reducing devices and a noise reduction product for elevated railway systems in New York City, 9) Michael Robert “Shakey” Walton (1945) who was a hockey player in the NHL, born in Kirkland Lake, Ontario, Canada who played for six different teams in the NHL and WHA from 1966-1979, and 10) Travis Walton who is a famous alleged alien abduction from Arizona whose incident was adapted to the 1993 film Fire in the Sky. Three heraldic symbols depicted within the Walton Coat of Arms (mistakenly called the Walton Family Crest or Walton Family Shield by those unfamiliar with heraldry and genealogy) are the bezant, fleur-de-lis, and hawk’s head, each of which has its own unique meaning. For easy recognition of the items on a coat of arms, and hence the quick identification of the owner, bold simple shapes are best. Hence, simple geometric shapes are often used for this purpose, and the bezant is a typical example of this, and in British Heraldry always takes the tincture or. It shares the same root as the name Byzantium, being associated with the gold coin of that city and indeed, in some heraldic traditions is represented as a coin-like disk in perspective. Wade suggests that the use of this device refers to “one who had been found worthy of trust and treasure.” This charge is similar to a roundle. The fleur-de-lys (“flower of the lily”) has a long and noble history and was a symbol associated with the royalty of France even before heraldry became widespread. The white lily is attributed to represent the Virgin Mary, the mother of Jesus in the Christian religion. It symbolizes purity and is a mark of distinction or difference for a father’s sixth son. The fleur-de-lys is also used as a small “badge”, known as a mark of cadency to show that the holder is the sixth son of the present holder of the arms. Birds of great variety occur throughout heraldry, at least in name. The hawk is similar to the falcon in heraldry. The falcon is a bird long associated with hunting and we need look no further than a liking for this pursuit for its presence on many early coats of arms. We also find many of the accessories used in falconry depicted on arms, and a surprising number of terms from the art of falconry have found use in modern English idioms and the interested reader is recommended to search out the origins of the phrases hoodwinked and “cadging” a lift. The falcon is an ancient symbol dating back to the time of the Egyptians when it was associated with the Eye of Horus, with Horus being a god that was said to appear in the form of Pharaoh’s Falcon or having the head of a falcon. It symbolizes or conveys power and majesty, as well as someone who is eager in pursuit of a desire (related to the hunting/sporting art of falconry).